Relevium is a TSXV listed company focused on growth through the acquisition of businesses, products and/or technologies with a focus on e-commerce in the growing health and wellness sector, specifically under three important verticals: Pain Relief, Recovery and Performance. Relevium Technologies Inc. currently holds patented intellectual property for application of static magnetic fields on direct-to-consumer devices, which aid in decreasing pain, improving recovery time and enhancing overall physical performance. March 20, 2017 – MONTREAL, QUEBEC – Relevium Technologies Inc. (TSX.V – “RLV”) and (Frankfurt: “6BX”) (the “Company” or “Relevium”) a consolidator of e-commerce assets in Health and Wellness is pleased to provide an update regarding the acquisition of BioGanix Limited (“BGL”). On December 22, 2016 the Company announced a binding letter of intent (the “LOI”) to acquire the assets of BioGanix Limited (“BGL”), a privately- held nutraceutical company in Houston, Texas focused on heart, brain, digestive health and joint support products sold through primarily through e-commerce platforms. On February 1, 2017 the company announced the mutual agreement of the parties to extend the deadlines associated to the transaction. On February 22, 2017, the Company announced the engagement of WCM Capital (“WCM”) to act as lead agent in a private placement offering with aggregate gross proceeds of up to $7.5 Million on a subscription receipts basis (the “Offering”). The private placement announced comprises of an equity portion and a debt component. The equity issue is comprised of a maximum of 37,000,000 million subscription receipts units at a price of $0.10 per unit, with each unit being comprised of one common share and one warrant at $0.15 with a term of two years (the “Units”). In conjunction with the equity component, the company also announced that it would issue up to $5M in long term debt (“the Debt”), thereby proportionately reducing the equity component to a maximum total offering of $7.5 Million. The Company and WCM Capital are currently engaged in negotiations with prospective debt suppliers and, as requested by them, both the Company and BGL have agreed to provide further accommodations in time so as to allow for the administrative and legal processes required for such financing. The parties have agreed therefore to extend the proposed closing to on or before April 30, 2017. The definitive terms of the debt financing and closing of equity financing to be announced in a subsequent press release, as applicable. On March 13, 2017, the Company also announced it had received conditional acceptance from the TSX Venture Exchange (the “Exchange”) for the acquisition of BioGanix. The Company endeavors to work closely with the TSX Venture Exchange and BGL in order ensure an orderly final approval process. BioGanix was founded with customer results in mind, to provide the best quality, best researched, and most potent formulas at competitive prices, while providing excellent and personal customer care. BioGanix puts our customers first, and do everything we can to keep them happy. BioGanix prides itself on using only the best and purest ingredients in our manufacturing processes. BioGanix only provides premium quality products, and doesn’t cut any corners in manufacturing processes. All BioGanix products have been 3rd Party Laboratory tested and verified, and are manufactured in GMP Certified and FDA inspected facilities in the USA. According to the internal financial information supplied during the due diligence procedures, for the 12 month period ended September 30, 2016, BioGanix had total revenues of US$4M and net earnings of US$1.3M. At September 30, 2016, BioGanix had total assets of US$0.5M. MONTREAL, QUEBEC –Relevium Technologies Inc. (TSX.V – “RLV”) and (Frankfurt: “6BX”) (the “Company” or “Relevium”) a consolidator of e-commerce assets in Health and Wellness in conjunction with its board of directors, is pleased to announce the addition of Dr. Tina Sampalis to the Company’s Board of Directors. Tina Sampalis, M.D., Ph.D., is an oncology surgeon trained in physiology at McGill University in Montreal, medicine at the University of Patras (Greece), dermatology at Göttingen University (Germany) and Marselisborg University (Denmark), pediatric, general and oncology surgery at the University of Athens (Greece), graduate training (Ph.D.) in Surgical Research at the University of Athens and a second Ph.D. in Epidemiology and Experimental Surgery at McGill University. Dr. Sampalis leading work in Nutraceuticals includes Neptune Technologies & Bioressources, where she discovered one of the primary reasons krill oil is so beneficial to human health: Phospholipids. Dr. Sampalis is the named inventor of Neptune’s composition and application patents. As the former President of Acasti Pharma Inc. she led the development of a novel patented active pharmaceutical ingredient targeting the prevention and treatment of hypertriglyceridemia and cardio metabolic-disorders. She is the Founder and President of the AGOO Children’s Health & Wellness Center, a state-of-the-art multidisciplinary comprehensive, pediatric-adolescent medical center and accredited McGill University teaching site in Quebec. Dr. Sampalis has received several international scholarships and awards for her work on the clinical implementation of retinols for skin and breast cancer, including the Helen Hutchison Award for geriatric medicine. Her work on scintimammography resulted in her appointment at the International Educational Speakers Bureau, the Canadian and U.S. Faculty of Medical Speakers for Breast Imaging. As an international scholar, Dr. Sampalis leads the development and implementation of innovative micro- invasive and stereotactic robotic surgical techniques for breast cancer, for which a U.S. and Canadian patent application has been filed. She is a member of the American Association of Naturopathic Medicine. Dr. Sampalis has published papers in multiple peer-reviewed publications. She was named one of the 10 most successful women in Quebec (Les Affaires, 18-24 September 2010) and one of the 100 most successful globally by the Princeton Global Network. Aurelio Useche leverages over 20 years of senior management experience including COO, CFO and CEO in several private and publicly traded corporations in manufacturing, mining exploration, consumer goods and entertainment. Mr. Useche is a CPA, CMA and a graduate of the executive MBA program at Queen’s University School of Business. Mr. Useche is also a graduate of the Corporate Directors program at the University of Toronto’s Rotman School of Business and of the Masters Certificate program in Risk Management program at York University’s Schulich School of Business. Andre Godin is currently Executive Vice-President & Chief Financial Officer at IntelGenx and has more than 25 years’ experience in the Biotech-Pharma industry. He has a strong background in Capital Markets, Finance and Operations. Mr. Godin held several high level positions as CEO, CFO and Vice-President of pharmaceutical and nutraceutical Companies. Mr. Godin is a member of the Canadian Chartered Professional Accountants and the Canadian Institute of Chartered Accountants. He holds a Bachelor of Business Administration degree from Université du Québec à Montreal. Leena Lakdawala is a senior executive with 22 years’ experience in the manufacturing and consumer product sector. Leena has served in several senior managerial roles in private and publicly held corporations, including Director of Administration, Director of Marketing, Vice-President of Operations and most recently Executive Vice-President. Leena serves on the board of several privately held companies and serves as an advisor to an early stage business venture. Leena is a graduate Executive MBA from Queens School of Business. Michel currently holds the position of Head of Strategic Development at Neptune. He has been employed by Neptune since 2010, but was a member of the Board of Directors from 2000 to 2008. 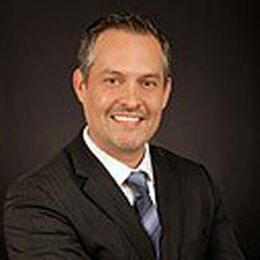 Mr. Timperio has many years of experience in sales. He obtained his Bachelor of Commerce at Concordia University in Montreal, Quebec. With a natural entrepreneurial character, he launched his own distributing business. Many years later, Mr. Timperio built a start-up venture in residential construction from 2001–2010. He has worked for large corporations, including Armstrong World Industries and Reichhold Chemicals, where he held senior management business development positions. Mr. Timperio has also retained a political career for six years.